In fact, we humans covet sleep so much we’ll try just about anything to help us sleep. Insomnia has been deemed an ‘epidemic’ by researchers and medical scholars throughout Europe and the Americas. When it feels like you are perpetually exhausted from lack of sleep, it’s tempting to ask your doctor for a prescription for something like Ambien® (zolpidem). Drugs like zolpidem are GABAA receptor agonists that bind to the α-1 subunit, which is believed to be responsible for the drug’s sedative properties. And if you try to go ‘natural’, you’ll find most ‘natural’ sleep aids on the market contain synthetic melatonin. But not only is this form of melatonin not natural, a study published in the Journal of Sleep Medicine showed something very alarming. If you are as sensitive to melatonin as a supplement as I am, taking a chance on nearly 500% more than what you thought you were getting is a big problem. But I have good news for you because experienced neurohackers have found other ways to get a great night sleep. And all it takes are 3 supplements that are easy and relatively inexpensive to get. Put together a stack with the following supplements and you’re almost guaranteed to get the sleep you need. Night after night. Montmorency tart cherry contains the richest natural source of melatonin. Identical to the hormone secreted by the pineal gland in your brain. 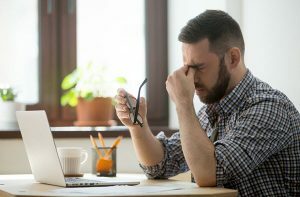 The problem is this natural process in our modern society can be disrupted by exposure to artificial light from cellphones and tablet screens, medications, medical conditions, stress, food and drink. And your circadian rhythm can also be disrupted by working the night shift. Or flying to the different time zone. Supplementing with tart cherry provides melatonin when your natural melatonin is suppressed. Tart cherry for sleep has been proven in clinical trials as well. For example, a randomized, double-blind, placebo-controlled trial was done with 20 volunteers who consumed tart cherry juice concentrate or a placebo for 7 days. Sleep quality was recorded along with melatonin metabolites from urine samples. Melatonin was significantly higher in the tart cherry group compared to no change in the placebo group. 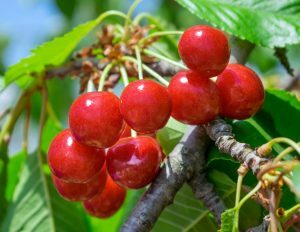 The researchers recorded significant increases in time in bed, total sleep time, and sleep efficiency in the tart cherry volunteers. Tart cherry is also a potent antioxidant and anti-inflammatory. It contains anthocyanins which block COX-1 and COX-2 proinflammatory enzymes. Tart cherry extract may help you fall asleep faster, stay asleep, and help repair body and brain while you sleep. Helping you feel refreshed and physically ready to start your day. Recommended dosage of organic tart cherry juice from concentrate is 4 – 6 ounces (120 – 180 mL), or 500 mg of CherryPURE® which is tart cherry extract in a capsule about 90 minutes before bed. Magnesium is the 4th most abundant mineral in your body. And a cofactor in more than 600 enzymatic reactions. This GABA action by magnesium helps block the excitability of NMDA receptors. Calming nerve cell signaling which relaxes muscles and brain activity. Magnesium ions control the ion channels required for brain cell signaling. And is critical for the neuroplasticity required for memory consolidation while you sleep. Over the last 60 years, the magnesium content in fruit and vegetables has declined by 30%. And a further 80 – 90% of magnesium is lost during food processing. But the thing is that supplementing with regular magnesium won’t do much good. Because it’s not very bioavailable. And the high dosage required to elevate your magnesium levels can cause diarrhea. The best option is to choose the right form of magnesium. Magnesium Bisglycinate is a chelated form of this mineral bound to the amino acid glycine which boosts bioavailability. Or use Magnesium Taurate which is magnesium bound to the amino acid taurine which inhibits neurotransmission (helping sleep), acts as an antioxidant, assists long-term potentiation, and helps magnesium cross the blood-brain barrier. And the addition of taurine also aids in the movement of potassium, sodium, and calcium into and out of cells. Which helps alleviate muscle twitches that can keep you awake. Recommended dosage of magnesium is 100 – 400 mg about 90 minutes before bed. 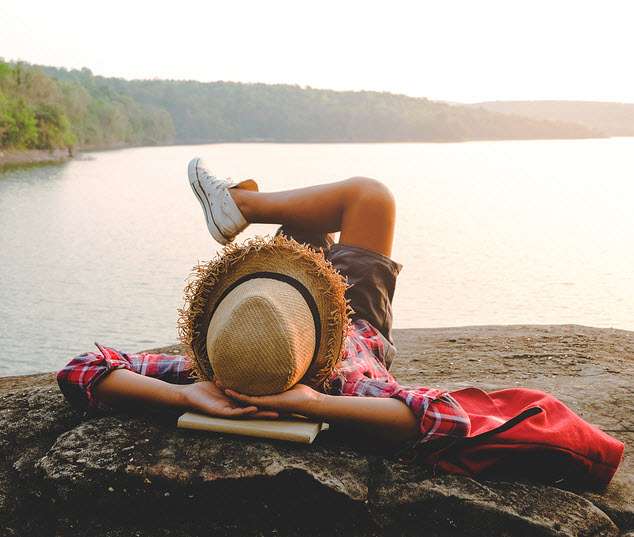 You’ll get better results supplementing with Tryptophan as a sleep aid by stacking it with magnesium, and Vitamin B6 because both are required to synthesize serotonin. Tryptophan converts to 5-HTP, and then with the help of Vitamin B6 (P-5-P) produces serotonin. The further conversion of serotonin into melatonin requires the presence of SAM-e. The entire pathway from Tryptophan to 5-HTP to serotonin to melatonin provides a good mood during the day. And a calming influence preparing you for relaxation leading to sleep, and sound sleep all night. Recommended dosage of L-Tryptophan is 250 mg about 90 minutes before bed. For years, I used the above 3 individual supplements as my sleep stack taken about 90 minutes before bed. I’d fall asleep in less than a minute, and sleep through the night. Feeling refreshed the next morning. Then in early 2018, Performance Lab® came out with a sleep stack using the same ingredients. It’s what I now use instead of individual supplements which is less expensive but still works like a charm. 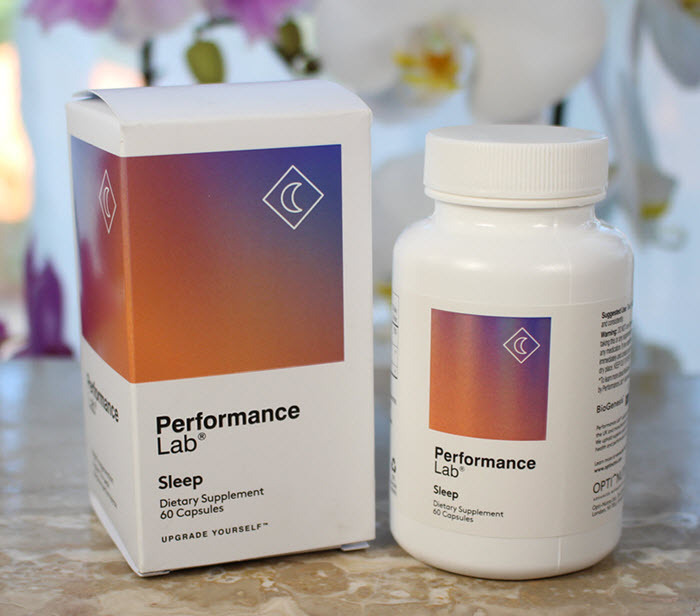 Performance Lab® Sleep contains 100 mg of Magnesium (as Magnesium Bisglycinate, Magnesium Taurate, and BioGenesis® Magnesium), 500 mg of tart cherry extract (as CherryPURE®), and 250 mg of L-Tryptophan (as TryptoPure®). Opti Nutra®, the company who makes Performance Lab® supplements also uses Plantcaps® vegan-friendly capsules which are made from tapioca. Rather than ‘veggie capsules’ which are actually a type of plastic made from pine or poplar tree pulp. And there no fillers or additives! Just plain, pure, patented ingredients. If you are craving a great night’s sleep, I highly recommend this premium stack. See my deeper dive into how sleep works, how much sleep you really need, and health problems associated with not getting enough sleep in my post on “Best Nootropics for Sleep”.